Hudson P.E.A.R.L.© (Proactive Efficient Adaptive Reliable Logistics) is a full-service door-to-door supply chain network, optimizing efficiencies in each mode of transportation, offering you the best bargain when moving your important commodities. State of the art navigation and technical expertise to efficiently sail the open seas ensures prompt delivery of the commodity to the specified port(s). It's OK if the final destination isn't positioned near a major port, Hudson is well-equipped to transfer your commodity to barge for narrow waterway transport to deliver products further inland. Occasionally a product needs to be delivered to more than one place. Hudson excels at thinking 'outside the box', proposing value-based solutions to get the commodity to your doorstep, no matter how complex the request. Utilizing all modes of transport, Hudson can load your commodity onto rail and deliver it inland to its final destination. These types of requests are not unusual and allow Hudson to flex their supply chain muscle. Access to a truly global network of transportation assets. The energy and experience of the Hudson team of supply chain management experts. Hudson skill and expertise in tax optimization, regulatory compliance, and customs clearance. The P.E.A.R.L. © system streamlines your supply chain to allow your business to operate economically and grow organically, without scaling constraints. Utilizing Hudson for logistics support frees up your personnel and capital to concentrate on your core competencies while Hudson creates a customized supply chain strategy to improve efficiency and reduce costs. With Hudson, your business will gain access to a worldwide network of global assets and expertise. Hudson inventory control experts assist in ensuring the proper flow of materials where and when they are needed. 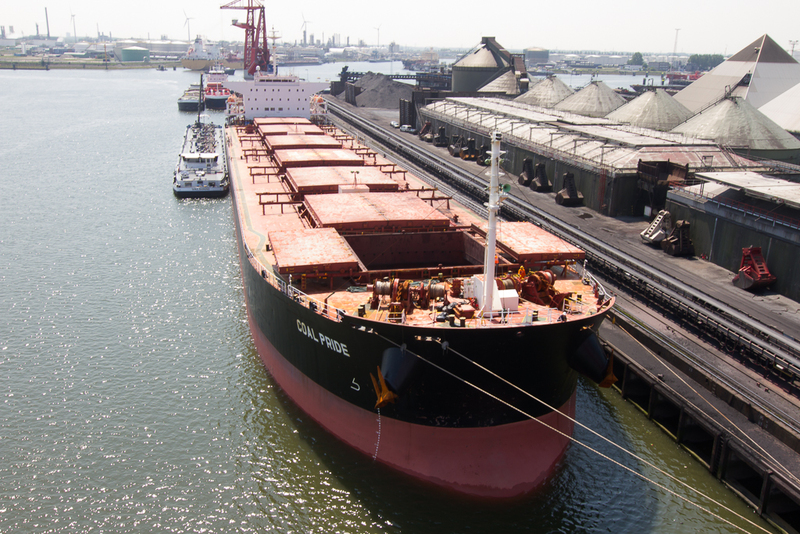 By using G.O.L.D.© Standard techniques Hudson can safely and economically place multiple grades of dry bulk commodities in the same hold, enabling optimal usage of available space. Hudson also handles local job site logistics, providing the equipment, know-how, and personnel to ensure swift operation of job sites and expert handling of sensitive commodities. Hudson global supply chain finance specialists can also provide goods in transit financing to increase flexibility and reduce cash flow concerns. The P.E.A.R.L. © system also simplifies new market penetration. With P.E.A.R.L. ©, Hudson can leverage their global expertise to advise you on how to connect and leverage your supply chain to maximize efficiency and complete your strategic objectives in new markets. Local knowledge is utilized to facilitate market entry and increase product and brand awareness. Hudson can apply their global knowledge and local expertise to avoid regulatory pitfalls and maximize market penetration. Whether you are breaking into new markets or optimizing your current supply chain, Hudson can bring unparalleled efficiency and flexibility to your logistics operations with its P.E.A.R.L. © system. Hudson is a leading carrier and distributor of various commodities worldwide with a fleet of over 50 dry bulk vessels backed by over 40 years of knowledge and expertise. Utilizing the G.O.L.D.© Standard and C.O.S.T.© techniques to meet customer needs with innovative logistics solutions. Hudson’s worth goes beyond ships and experience however. Hudson also calls on a diverse network of global relationships to ensure the efficient and reliable transportation of customer goods. 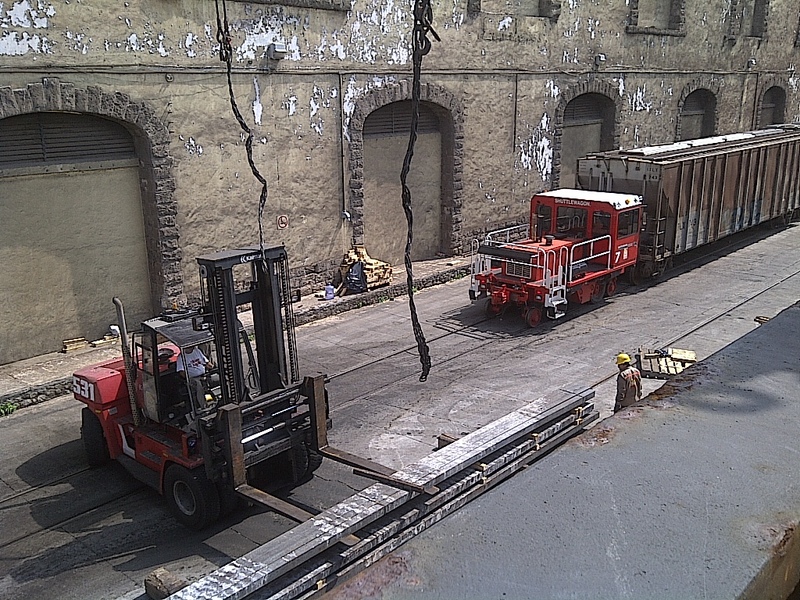 The freight portion of a supply chain many times begins and ends with road transportation. Responsive and adaptable, trucks move over 70% of the world’s freight. As part of Hudson’s P.E.A.R.L. © management system, Hudson trucking carriers across the globe to ensure our customers’ goods are moved quickly and efficiently. This is especially valuable when moving oversize or delicate cargoes, such as when Hudson engaged road transportation assets to move two massive sets of fiberglass hatch covers from Kentucky to Vancouver. Barging along narrow waterways is the most efficient and environmentally friendly method of transporting goods inland. 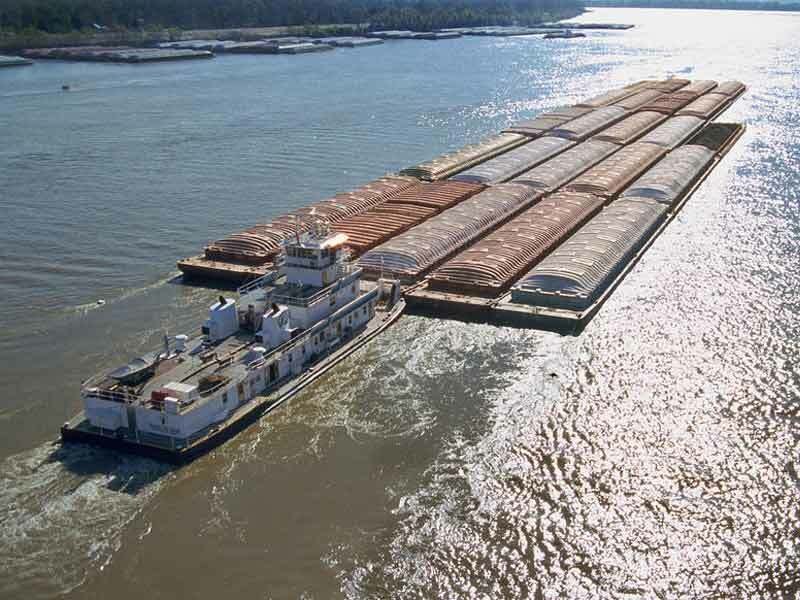 A single barge has equivalent capacity to 15 rail cars or 60 truck trailers. A single tugboat can handle multiple barges, providing excellent opportunities to take advantage of economies of scale. While obvious geographical limitations apply, Hudson works with clients to determine if lightering into barges can be a cost effect method of transporting their goods inland. Hudson's expertise in barge transportation also extends to the sourcing of custom barges where required to suit a customer's specific needs. Hudson operates a system of terminals, warehouses, agencies, and stevedoring companies to meet our customers’ need for responsive, dependable, port services. These stevedores and agents are inventive and knowledgeable, with decades of experience employing Hudson’s proprietary methods to solve logistics challenges. The advantages of this approach are exemplified by Hudson’s G.O.L.D.© Standard techniques, which maximize operational load distribution through the employment of separations. Through the use of these separations, stevedores can load different types of cargo in the same hold which allows Hudson to better serve its customers through flexible shipping schedules and increased vessel utilization. Hudson’ focus is not limited to only large dry bulk commodities. Hudson also assists clients with the transport of smaller parcels and cargos. By utilizing it's G.O.L.D.© Standard techniques Hudson ensures these smaller parcels are transported precisely and effectively. Take a look at a few examples of Hudson's work in Supply Chain Management.